This verse is repeated and explained in Matthew’s Gospel of Jesus Christ. These cannot be explained any other way, the child was the Mighty God, the Everlasting Father. He created all the laws of the universe, yet He only lived under those laws when He came to rescue us. The rest of the time He lives above the laws of the universe, where time does not even exist, for He created time. I also maintain a domain as a hub for my WordPress blog. 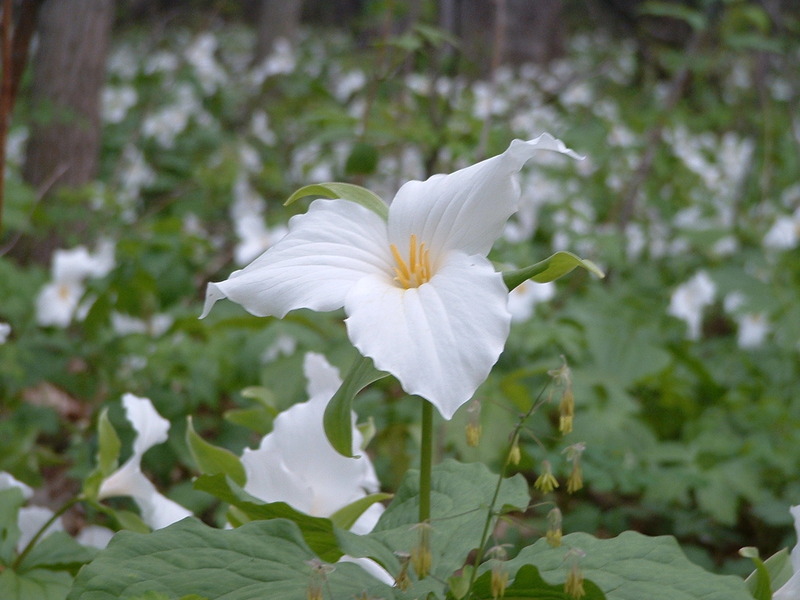 Here is how I see the trinity, (I use the flower known as the Trillium to illustrate.) Followed by this brief explanation. People often struggle with the idea of the trinity. How can God be a man and a Spirit and God all at the same time? The answer is easier when we remember He is God. Nothing is too hard for God. He fills all of the universe at the same time, knows all of our thoughts continually, sees perfectly in total darkness. Still His power is no less. When God had a son he did not create another God. God inhabited flesh and bones. Why? Because He is Holy and Just. A man would have to atone for the sins of mankind. But no man was the perfect offering required for sacrifice. God loved us so much that He personally came to endure the hardships of life and still be able to love His enemies. He allowed them to kill Him on a Roman cross. He bore our punishment and endured our shame because He loved us. Then three days later He overcame the grave to prove He can do the same thing for all who believe in Him as Lord and Savior. If we refuse to accept Christ as Savior because none of this makes sence then we have misunderstood what faith is. God lives above reason and can do anything,… including all that we would call absurd. and speaks of those who perished outside the promised land for lack of faith. God bless you on your journey for truth, May you take God at His word by faith find rest and peace in Him.